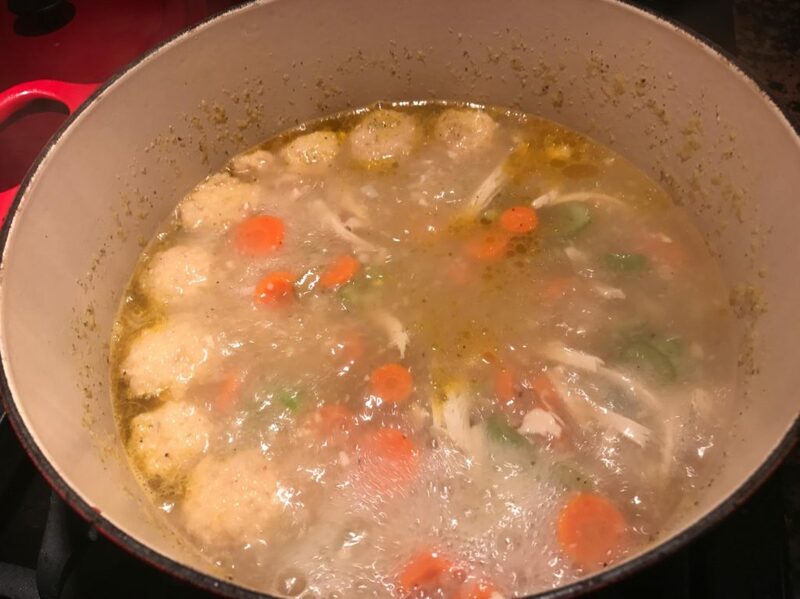 Matzo Ball Soup is one of my favorite meals during the colder months. 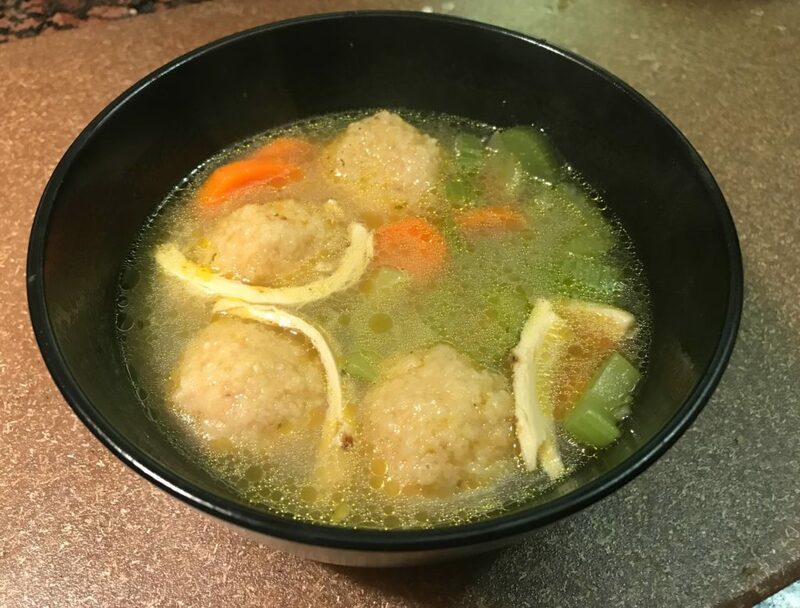 It’s a traditional jewish chicken soup with dumplings. I grew up eating it in the spring for Passover but it’s good all year! This is my vegan adaptation. 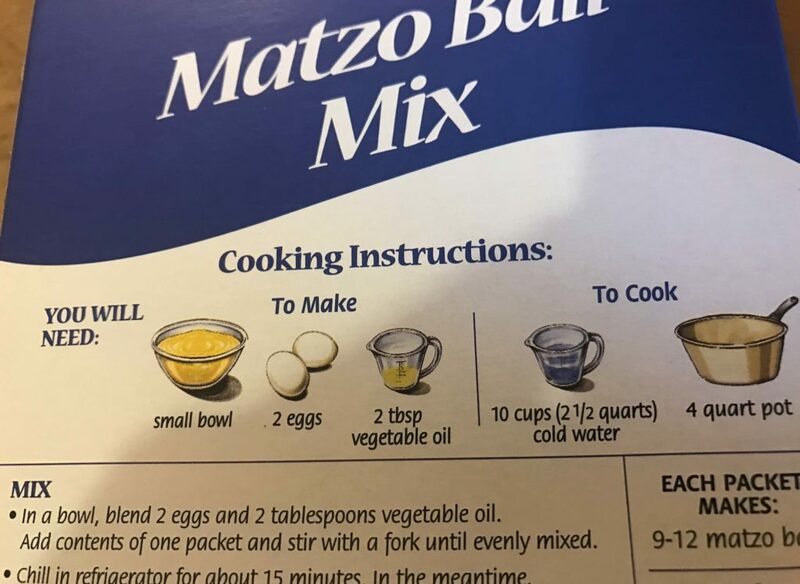 There are two ways to get matzo meal for the matzo balls; pulverize a few sheets of matzo or buy a box of pre-measure matzo meal. The recipe on the back is quickly tweaked to make it vegan. Make the Matzo Balls first! 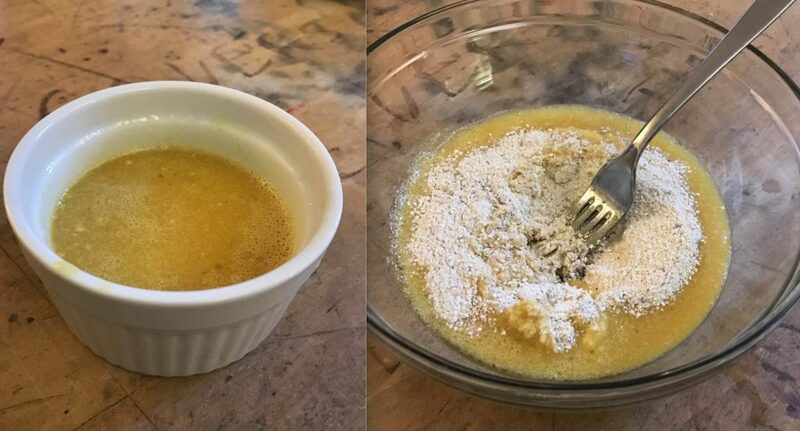 Follow the instructions on the Ener-G box to make two eggs ( quick tip, its 1TB powder to 4TB water) Whip it into a foam making sure the powder is desolved. 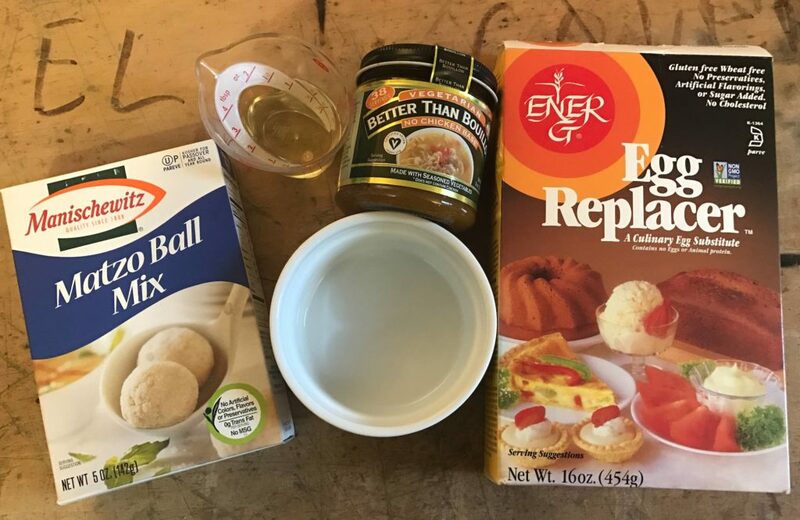 Add Bullion to egg replacer mix, whip until fully dissolved, then add the oil, continue to beat with a fork until everything is smooth and dissolved. Mix one packet of matzo with the egg replacement mix until the its semi stiff. 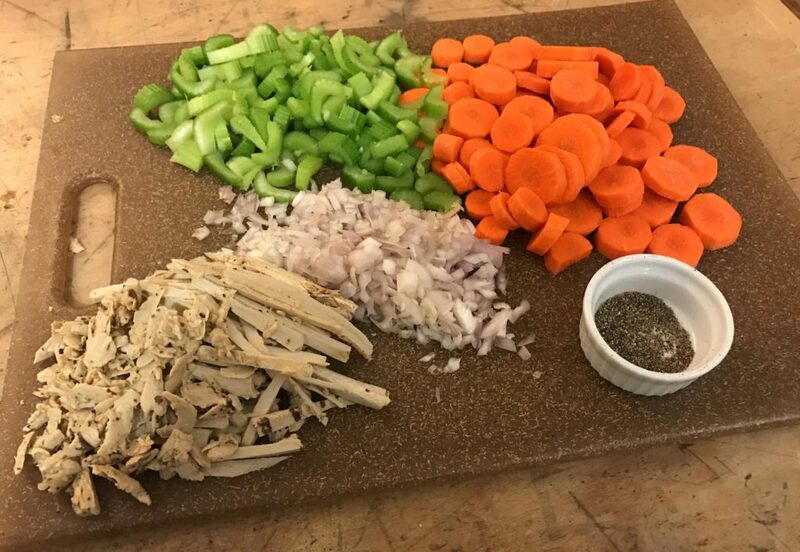 Roll it into 8 balls, cover and place in the fridge while you make the soup. If you want more balls, just double all this. 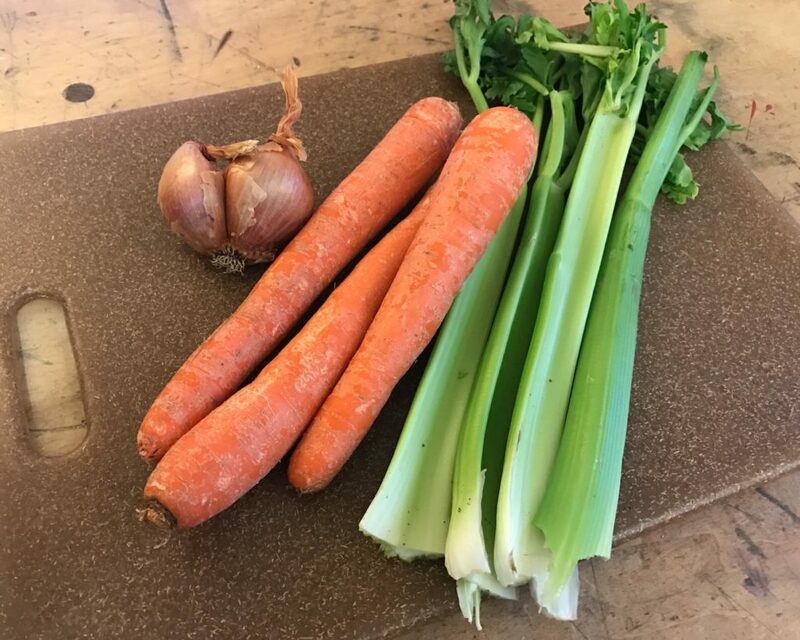 Chop the celery, make the carrots into coins, and dice the shallot. Shallots work well in the soup and is better suited to the flavor than onions. I’ve added some Beyond Meat grilled chicken strips that I’ve shredded and chopped. 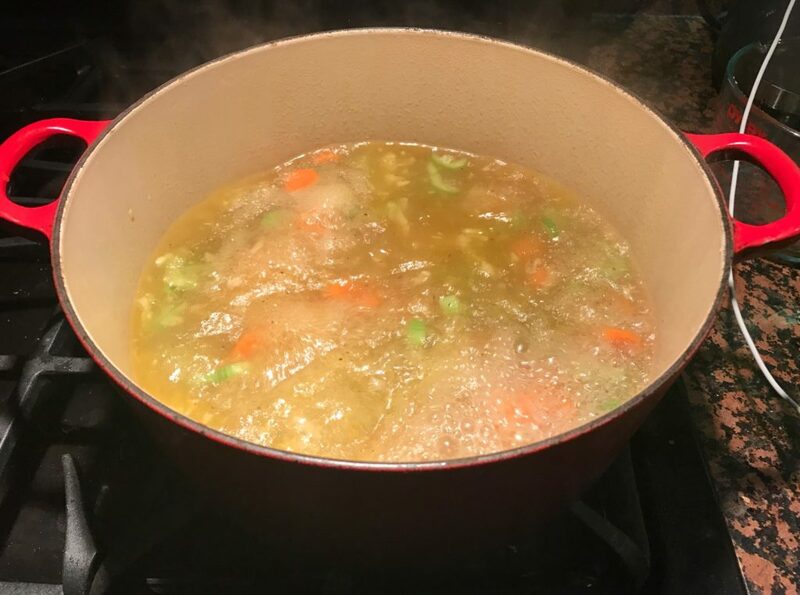 Heat a large soup pot(try and go 6 Quarts or more) and then add Canola Oil, let heat for 30 seconds and then add 1/2 teaspoon of salt. 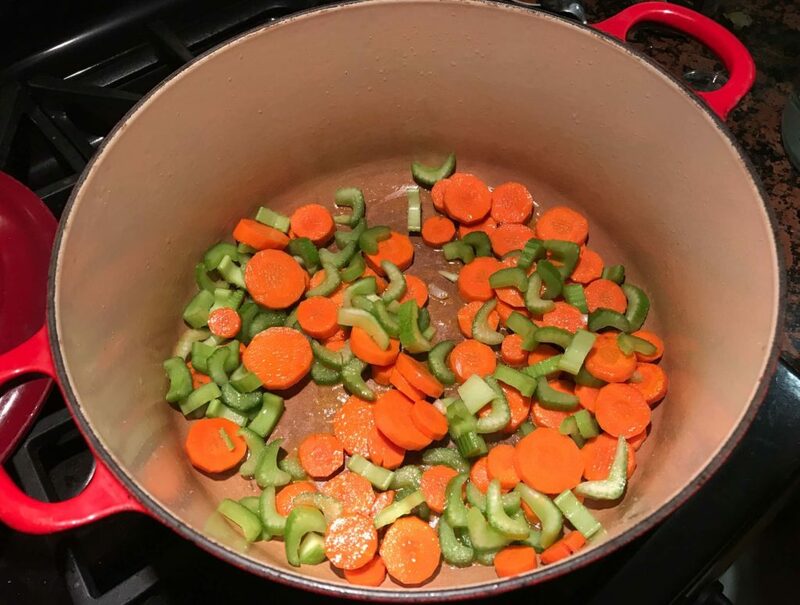 When the salt has mostly dissolved add the carrots and celery. Sauté for a moment until they start to sweat releasing their water, then add the shallots. When the shallots start to become translucent add the bullion. It will quickly start to caramelize which will be your cue to add water. 8 to 10 cups, it all depends on how salty you like your soup. Bring the soup to a rolling boil, having a lid really comes in handy here. Add the matzo balls, just drop them in there. 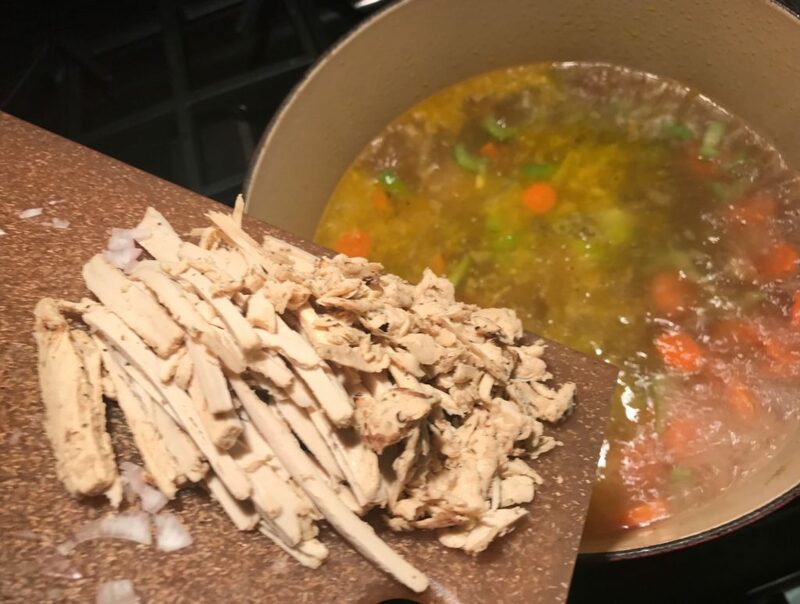 Before you close the lid add the shredded vegan chicken strips if you’re using them! Or try vegan ham. The flavor will be all wrong, but it’s still kosher! 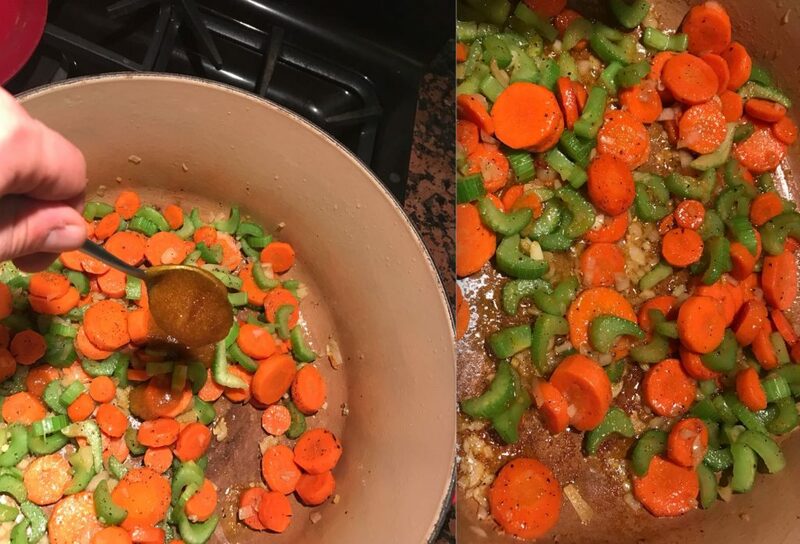 Cover the pot and let cook on medium heat for 5-7 minutes. I let mine go a little too long in this picture which you can see on the sides of the pot. 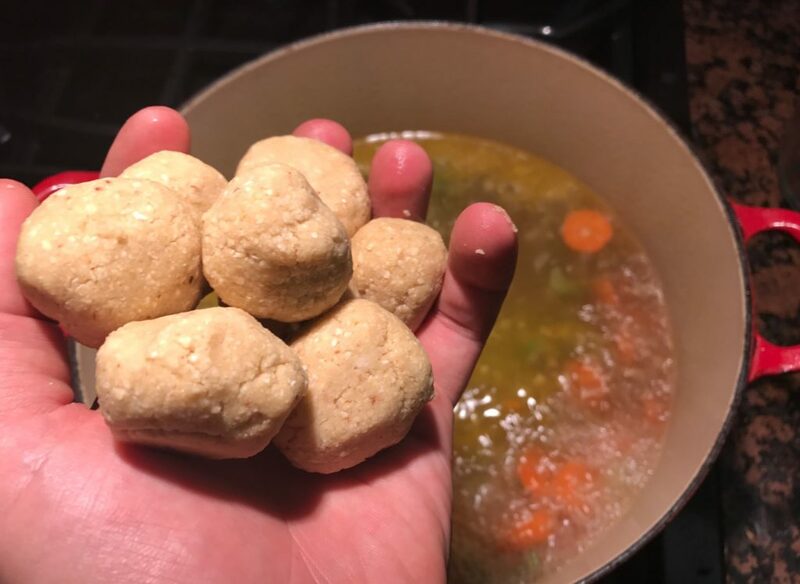 The matzo balls started to break up a little. The important thing is that they’re floating! If you like your matzo ball soup with parsley, add it into the bowl right before you serve. This entry was posted in Skate Snacks. Bookmark the permalink.